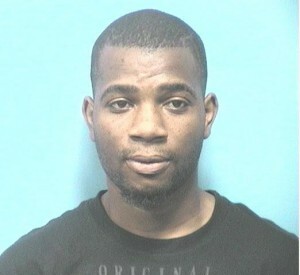 Tremain Gates, a 23-year old Calera, AL resident was arrested for domestic violence toward a 3-month-old child on Aug. 25th. In the case, Gates reportedly threw the child against a wall and then onto the floor while baby sitting. When the mother returned home, she notices that her child could only open one eye, was very tired, and crying excessively. After realizing the baby’s injuries, the mother took her child to Shelby Baptist Medical Center where they found that the child’s skull had been fractured. Gates shocked the entire community with such a horrible event. “I’m basically at a loss for words. I mean it’s kind of shocking especially you know when it involves a small child,” said a resident of Calera and neighbor of Gates. Gates is currently being held at Shelby County jail on a 1 million dollar bond, and is being charged with 1st degree domestic violence.